Waddle you do to make your morning go swimmingly? 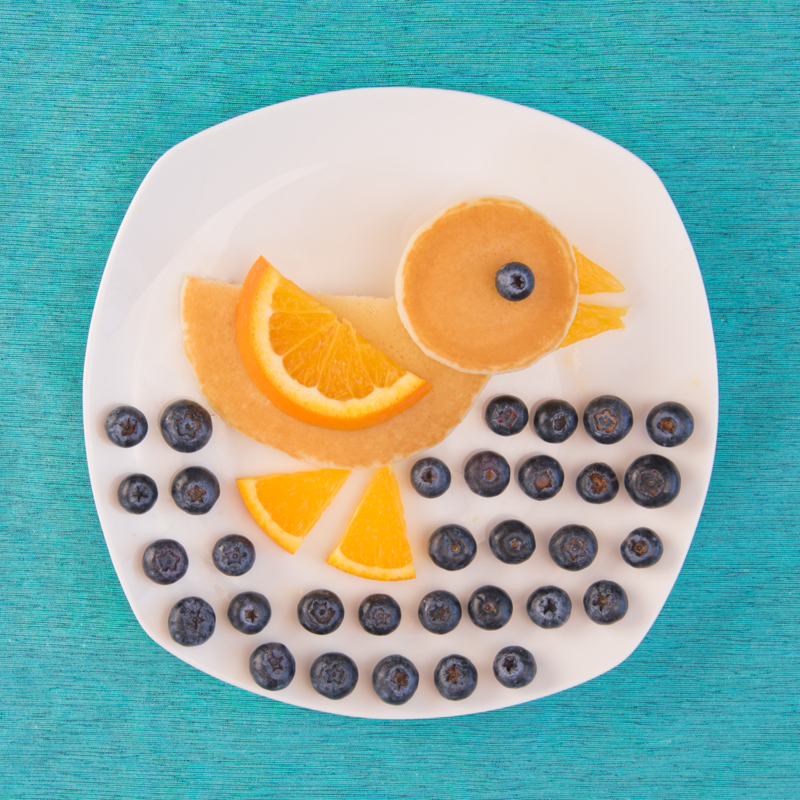 Take 5 minutes to bring your breakfast to life with this cute little duckling! While pancakes cool, place blueberries on a plate to create your pond. Once pancakes have cooled, place half of a Buttermilk Pancake on the plate for the body. Then, place one Mini Buttermilk Pancake slightly on top of the Buttermilk Pancake in the upper right hand corner, so that it looks like a head. Next, place one orange slice on top of the Buttermilk Pancake to add a wing. Then, cut another orange slice in half and place them below the Buttermilk Pancake for legs. Finally, cut your remaining orange slices into two triangles and place them under the Mini Buttermilk Pancake as the beak and finish it off with a blueberry eye. Yipee!! Your breakfast ducky is ready to FLY of the plate!